HONDIUS, J. - Congi regnu. Congi regnu. - HONDIUS, J.
Map maker : HONDIUS, J.. Size : 5.5 x 6.8 inches. / 14.0 x 17.2 cm. 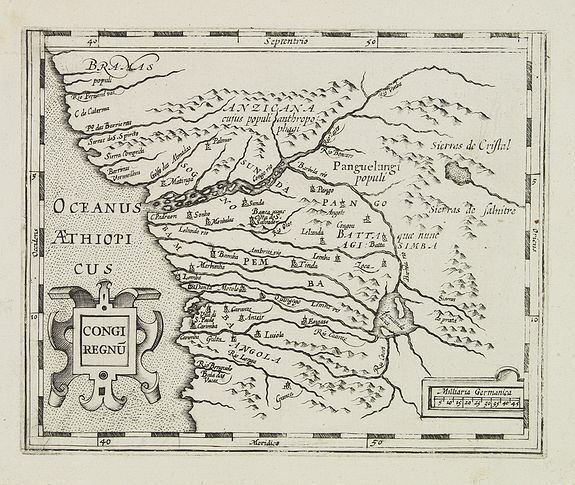 Description :Early map of Congo published in the Mercator / Hondius Atlas Minor. Condition : No text on verso.